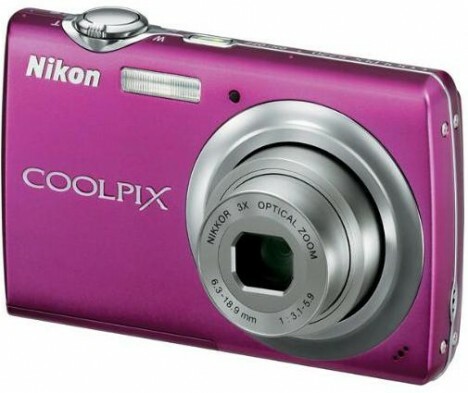 Browsing articles in "Digital Cameras"
Nikon Corporation has introduced the COOLPIX S220, a slim and compact digital camera with high performance imaging capabilities. 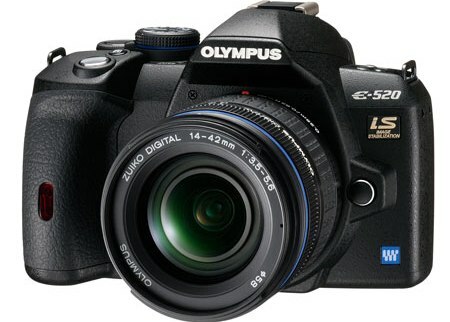 It is equipped with 3x Optical Zoom-NIKKOR glass lens that provides excellent pictures and gets you close to the action. The new EXPEED Image Processor ensures high-quality pictures with stunning color and sharpness. 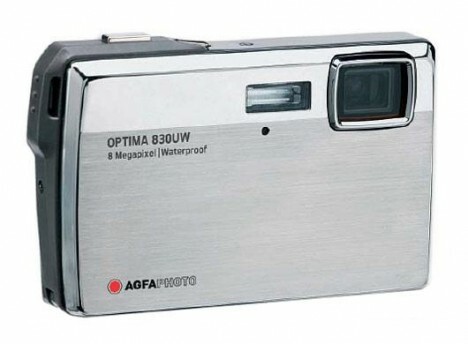 AgfaPhoto has unveiled its new outdoor digital camera – Optima 830UW. The Optima 830UW, similar to the new Fujifilm FinePix Z33WP, comes with waterproofing function but can function deeper up to ten meters. Furthermore, it’s also a frost-proof and shock-resistant camera. It can take photos in temperatures down to -5 degrees Celsius and still works well when dropped from a height of up to one meter. 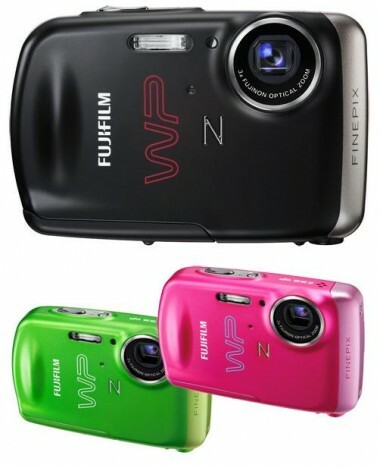 Fujifilm has revealed its FinePix Z33WP dynamic digital camera which is designed particularly to target outdoor and adventure enthusiasts. The elegant, slim, compact and ultra-stylish outfit Z33WP camera is waterproof. It is water resistant up to three meters. The dynamic camera also features the Picture Stabilisation technology with high sensitivity up to 1600 ISO. Its Scene Recognition AUTO is a clever technology that automatically detects the scene you’re shooting to produce the best shots. Hence, you will able to catch all your good memories when you’re cycling through forests, climbing hills or canoeing on rapid rivers. 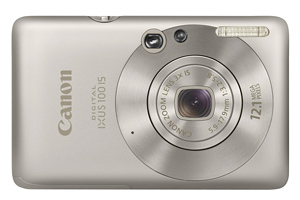 Canon’s IXUS range of digital cameras are well-known for their small size. The newly launched IXUS 100 IS is even slimmer in design. Nevertheless, Canon has not compromised on technology on its slimmest digital camera. 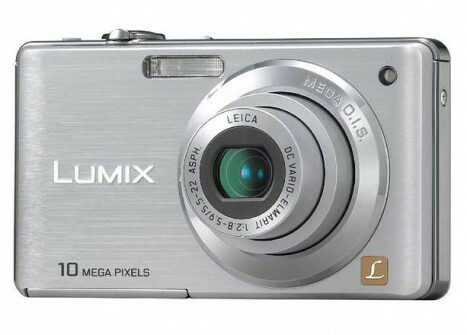 The IXUS 100 IS is featured with ultra smart technology to help users take great shots with ease. Panasonic has introduced the two latest Lumix FS series – the new 8.1-megapixel DMC-FS6 and 10.1-megapixel DMC-FS7 digital camera. Both models come with a F2.8 Leica DC lens and 4x optical zoom (equivalent to 33mm to 132 mm on a 35mm film camera). The design of the cameras is slim and stylish with user-friendly features which produce high quality pictures. 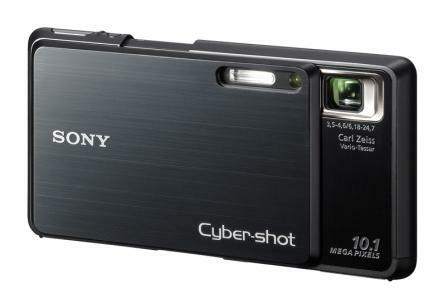 Sony unveiled the world’s first Wi-Fi digital camera with web browser – Sony Cyber-shot DSC-G3 lately. This new Cybershot G3 camera features built-in Wi-Fi and allows users to upload images and video instantly into websites, blogs, etc without having to transfer them into the computer. 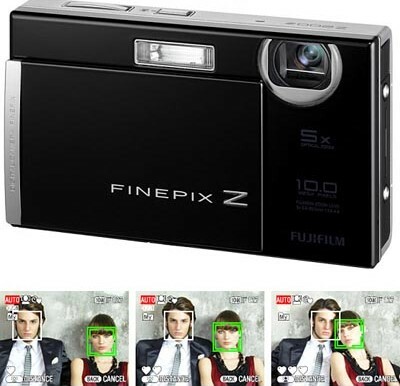 The Japanese company known for its photographic film and cameras, FujiFilm has announced a new addition to its range of ultra-slim, metal-bodied, high performance compact digital cameras, named as FinePix Z200fd, incorporating a pair of new self-timer modes – Couple Timer and Group Timer (up to four faces), which designed to prevent one of the faces is out the frame while using self-timer mode to capture photos, thanks to the Face Detection technology. With these cool and useful features, you have no need to worry about someone being missed out of the shot anymore! The precision technology leader designing and delivering award-winning products for consumer and professional markets, Olympus has announced the launch of its latest Olympus E-520 (digital single lens reflex) DSLR camera, the updated model of existing Olympus E-510, featuring new 10-megapixel Live MOS sensor with more light-sensitive area on each pixel, TruePic III image processor and 2.7-inch viewable HyperCrystal II LCD screen which is the key to its Live View capabilities.